First of all, can I just say, I L-O-V-E the name! And I mean LOVE! (I used to dance Flamenco). 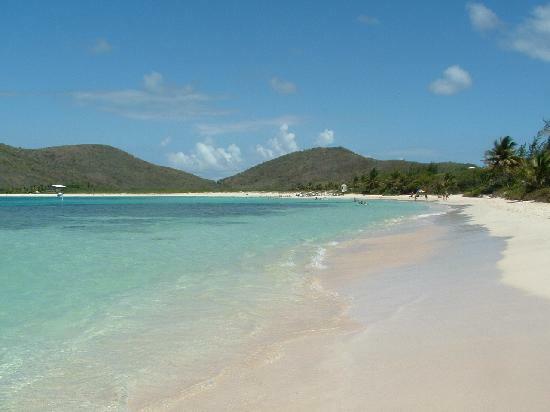 Flamenco Beach is located in Culebra, Puerto Rico (an island of the coast of the mainland). It was voted the 2nd most beautiful beach in the world by Discovery Channel. The white sand beach stretches for miles, and it's just perfect. As any times as I have jet setted to Puerto Rico, I have never had the chance to visit Culebra or Vieques for that matter. So, I am adding this to my bucket list. And, with the forecast in New York this weekend calling for snow...I am dreaming of a warmer, happier place.